Following a vintage as profound as 2004, 2005 has come as a very pleasant surprise. Many Spanish producers have on the whole been cautiously subdued regarding the 2005 vintage, partly due to wariness of declaring back to back exceptional vintages. Although slightly different in style to the 2004, this new 2005 release is arguably its equal. There is less structure, and more finesse but it is exactly what we now expect from this wonderful Gran Reserva. A sweet, dark cherry and wild raspberry core is bolstered by that classic creaminess to the fruit. There’s the classic vanilla, and sweet spice hints that you’d expect but this is tempered by fine acidity, very clean and fresh, serious precision for a wine of this style. Light on its feet right across the long palate, but not at the expense of vibrancy; this can be enjoyed direct from release or cellared for the long term. One only has to look at the cost of mature vintages (’94, ’85, ‘82) to see the benefit of buying at first release. 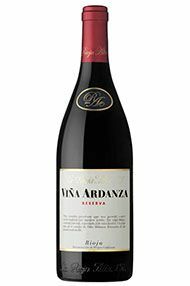 Another great success from Rioja Alta. The nose is full of leather and all spice, very attractive and alluring notes that keep making me go back for more and more. The palate is very fresh and tightly wound and even though the wine is deceptively juicy and flowing across the palate. This effortlessness belies the fact that one should keep for at least another 3 – 5 years. There is a real finesse here added to the understated richness and complexity from the barrel aging. A truly lovely wine. For me this is the sweet spot of La Rioja Alta’s range. Exhibiting aromas of spiced plums, damson and sweet spice with hints of Asian spice and vanillin on the nose. Succulent brambly fruit sits at the core of the palate which is medium bodied. Ripe, integrated tannins hold the framework for the layers of sweet cherry and strawberry fruit, savoury notes of leather and cured meat, entwined with a gentle spiciness. Texturally pleasing, a gentle creaminess coats the palate courtesy of American oak maturation, which is wonderfully balanced by a complementing acidity; maintaining freshness and balance through to the long finish. Wonderfully produced with lots going on, you can buy with confidence here with the quality assurance coming from one of Rioja’s most famed and adorned bodegas. Delicious to enjoy now but will continue to evolve and develop further complexity over the coming 7+ years, drinking from 2018 – 2024+. A blend of 90% Tempranillo and 10% Graciano, the 2000 was aged for four years in American oak and bottled without significant filtration. The colour is a wonderful orangey red, akin to a blood orange or the ‘redness in the west’ of the sinking sun. The nose combines the aromatic delicacies of leather, crushed rock and wild strawberry; all seamlessly integrated and demonstrating great poise. The palate is typified by its linear and profound acidity; however the mouth-feel keeps everything in check and gives the wine a depth and richness which leaves a lasting impression. 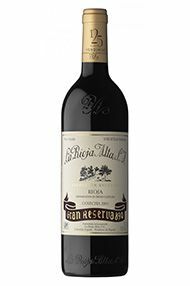 There are some who claim that Gran Reserva Rioja provides almost too much of a good thing; why leave the wine for quite so long in wood, when, with a shorter maturation, one would have a more expressive and robust Reserva wine. These people are entitled to this opinion; indeed, in the vast majority of cases, they are probably right, as there are many rather fragile, lack-lustre Gran Reservas on the market. Not so with La Rioja Alta. Made up of 90% Tempranillo, with 10% of Graciano, the 1998 was aged for four years in American oak, racked every six months and then bottled with minimal filtration. The colour is typically mature with crepuscular hints of amber at the rim; the nose is, as always, charming, gently lifted with hints of leather, wild strawberry and scorched earth. The acidity on the palate is lifted, but not to excess and it provides an attractive back-drop to the beautifully mature fruit. A very fine wine , wonderfully food friendly; wonderful full stop. 904 is amongst my top 10 go-to wines, it never disappoints and I am thrilled that the 2009 is no exception. A product of perhaps the best Rioja vintage since 2005, this edition, even at eight years old is brimming with the youth and vitality that this wine always seems to exude well into its second decade. 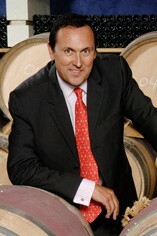 The first nose is unmistakable, I struggle to recall a more outrageously seductive use of American oak in any red wine. The synonyms therefore run aplenty; coconut, cinnamon, coco powder, nutmeg, its everything you want in proper Rioja and then some. Sour cherry and stewed red fruit lurk beneath but come alive on the palate where a riot of cranberries and redcurrants freshen the whole. Leave this just a couple of years to knit together then choose a year in the next 20 to drink it – it doesn’t matter when, it’ll be delicious. This is the first vintage of Viña Arana as a Gran Reserva (it was previously a Reserva) and it’s immediately apparent it belongs alongside La Rioja Alta’s other Gran Reservas 904 and 890, albeit one that fits the profile for slightly earlier drinking. 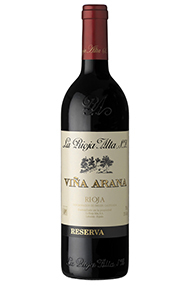 A classic Rioja Alta blend of Tempranillo (95%) and Graciano (5%) from vines that are over 40 years old, it is the latter which gives the Arana a majestic aromatic lift. All the things you want from traditionally aged Rioja are here in abundance; strawberries, vanilla, balsamic. 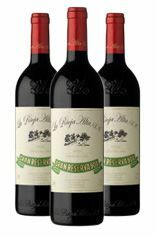 Aged for three years in American oak, with the standard Rioja Alta racking every six months, the wines were blended in March 2016 and have been aged in bottle since, doing a fair amount of the hard work for you. This is certainly good to go now, but – like all the top wines from the estate – will age effortlessly for many years. A welcome addition to an already great range. 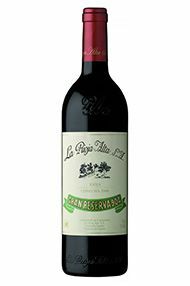 890 Gran Reserva is a more robust, darker and concentrated version of their other great red, the 904 Gran Reserva. Named after the date of the creation of La Roja Alta (1890), this 2001 vintage has been lovingly cared for over the past 13 years. Over six years of maturation in 100% New American oak, is followed by some seven years in bottle at the Bodega. Finally released when deemed to be approaching maturity. 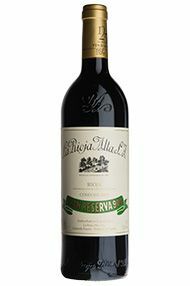 The oldest vines from the estate are chosen to produce this wine, with a limited production of only 2,600 cases. Deep cherry in colour, the nose rings home traditional Rioja with aromas of spiced strawberry, clove and vanillin, with an undercoat of damson fruit. Silkily textured, the classic core of vanilla and dark berried fruit flavours are brought through with great finesse and juiciness across the palate. A complementing meaty character with notes of Asian spice is evident toward the finish which is long and supple. Finely structured with marvellous precision and vibrancy throughout, this is a real delight to taste, and dangerously drinkable now! The 2007 904 Gran Reserva is another superb addition to the string of recent vintages which will bring immense drinking enjoyment over the years to follow, recommended from 2018 – 2030+.